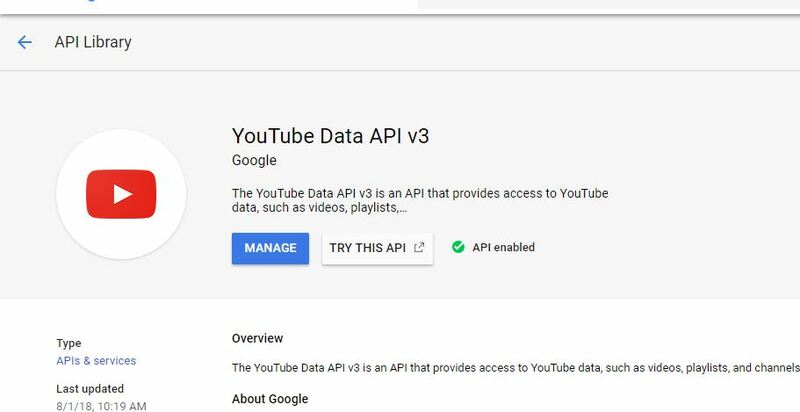 The Youtube API (Application programming interface) allows developers to call two types of data using REST and XML-RPX. The two types of data are YouTueb video statistics and Youtube Channels plus their videos. 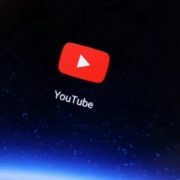 With the help of the YouTube API, the developers or other users can directly integrate the YouTube video experience into their webpage, apps or other devices or software tools. 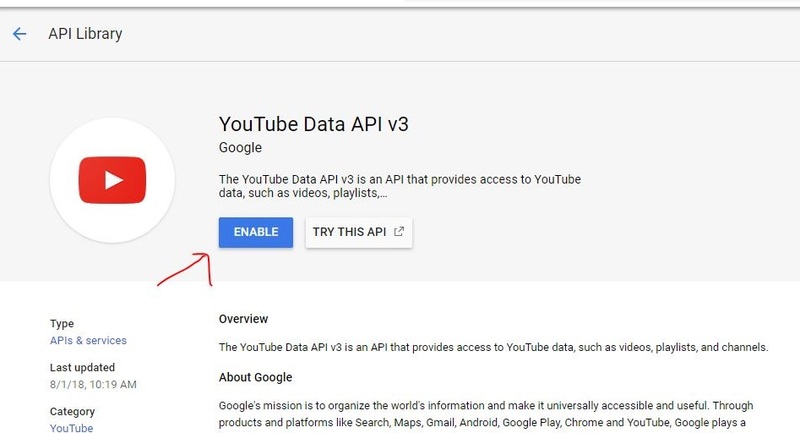 Here in this tutorial, we let you know how to get your YouTube API from the Google Console step by step. 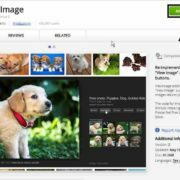 Step 1: Go to https://console.developers.google.com. 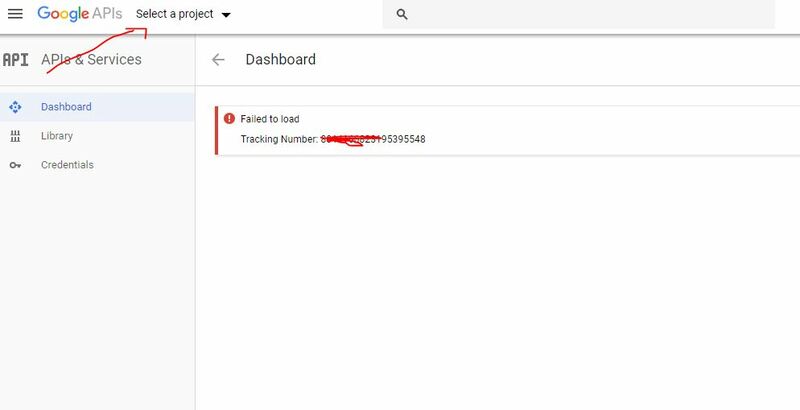 Step 2: Login with your Gmail ID. 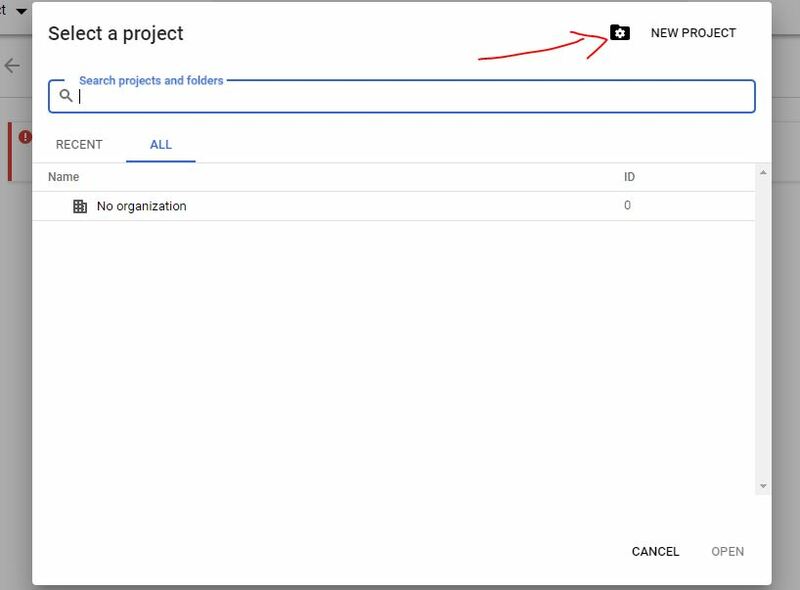 Click on the Select a Project drop down box to create a new project. 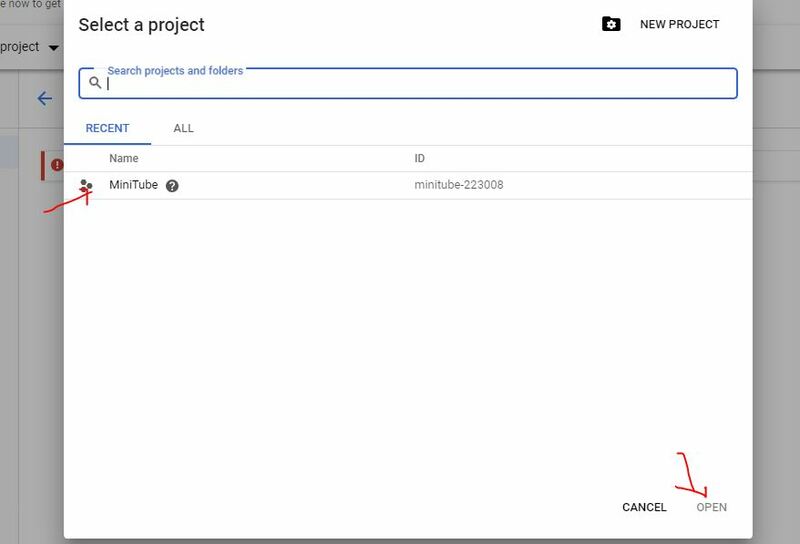 Step 4: New Project for YouTube API. 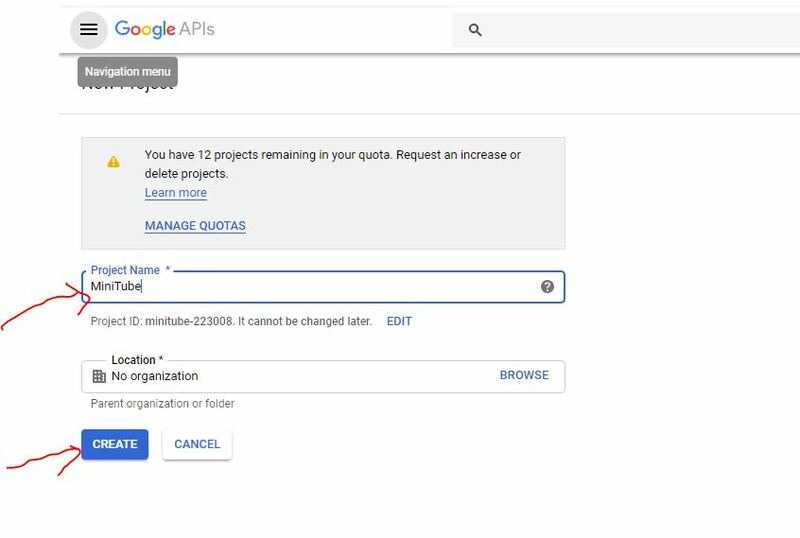 If you already have an existing project then you can use that otherwise click on the New Project option. Step 5: Assign some name to your Project and click on the Create button. Step 6: Now Select the created project. In our case it is MiniTube. Click on the project and then on the Open button. 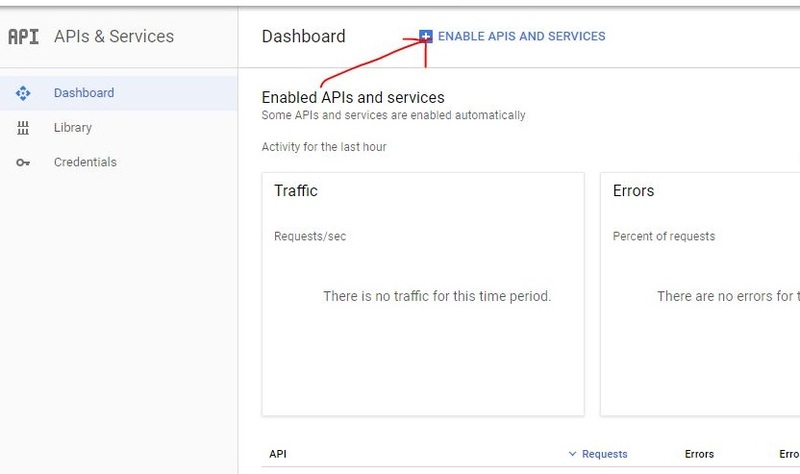 From the Dashboard of your created project click on the Enable APIS and services link. After enabling the APIs and other services for your newly created project, go to the search box and type YouTube. 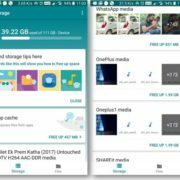 You will get a few results among them select the YouTube Data API V3. 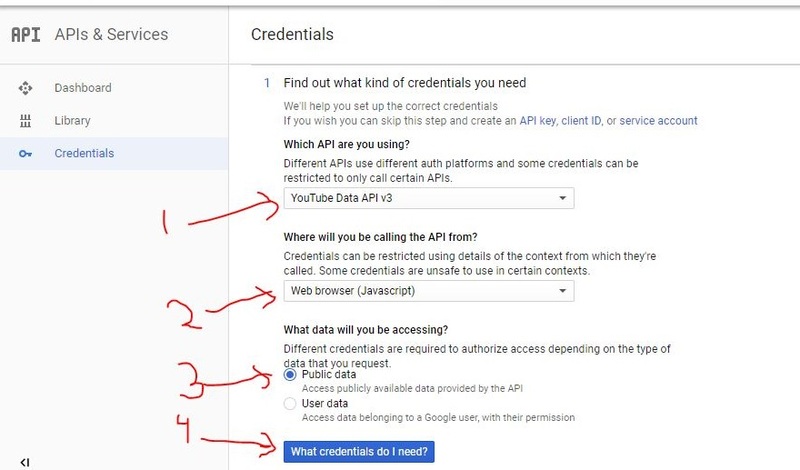 Under the Youtube Data API v3, click on the Credentials option from the left side pane. 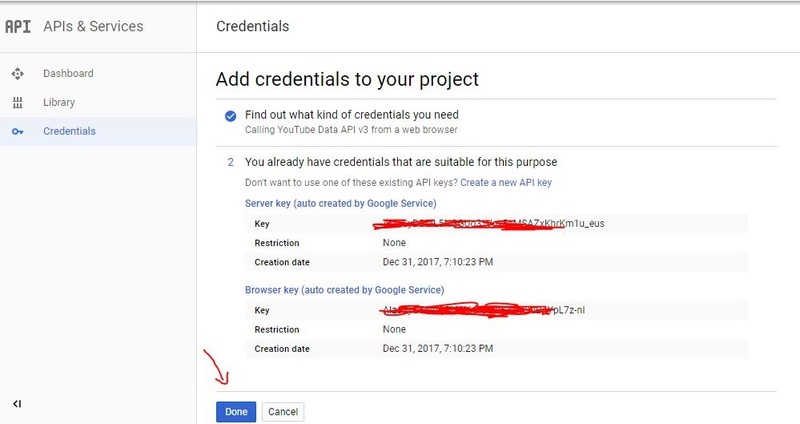 Use the Create Credentials option given on the top. We want to access the public data available on YouTube, thus, we selected the same. After all the options, click on the What Credentials do I need? To get API keys. 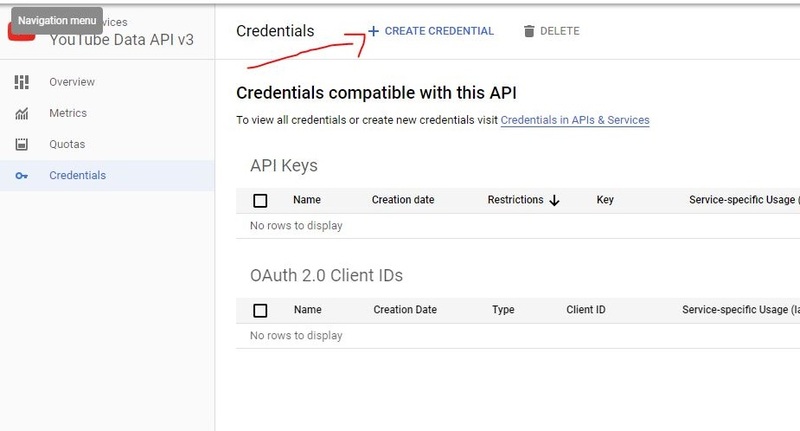 Now under Credentials ->API keys copy the generated key and placed it where you want.